Do you dream of spending your next holidays in the Landes with family, friends or a couple on the Silver Coast, near the most beautiful beaches of the Atlantic Ocean known for their surf spots? You want to book a luxury accommodation fully equipped for comfort but you have a limited budget? Welcome to the campsite Landes 4 stars Lou Pignada. Our outdoor hotel offers fully equipped mobile homes and chalets with 2 or 3 bedrooms for 4 to 6 people. From the compact mobile home without sanitary facilities to the family wooden chalet with television, Wi-Fi and large outdoor terrace, our range of luxury accommodation includes different models adapted to the needs and budget of all holidaymakers. All our rentals have a kitchen area with dishes and equipment, a living room, several bedrooms, one with double bed, a bathroom with separate toilet (except the economic mobile home without toilets) and a terrace with garden furniture. Our mobile homes allow vacationers to keep their privacy and enjoy the benefits of a comfortable rental in a green setting and a warm atmosphere, while having access to the aquatic area and other infrastructure of the campsite. Ondres is a small seaside resort on the Atlantic coast with a very beautiful sandy beach, protected by dunes and a pine forest. Several kilometers long, it is a paradise for surfers looking for quiet spots to catch the waves. Several schools offer introductory and advanced courses for adults and children (Surf Academy, Go and Surf). With its 300 km of cycle paths, the department of Landes is conducive to cycle tourism. Rent a bike and take the tracks that cross the town or pass close to the beach. One of the safe ways you will see is the Vélodyssée, an itinerary reserved for cyclists from Hendaye and up the Atlantic coast to Roscoff in Brittany. Beautiful walking and cycling can be done around the lake of Turk, Lake Laguibe and pond Beyre. In the National Nature Reserve of the Marais d’Orx, a guide accompanies you on the interpretation trail and informs you about the history of this natural area of ​​800 hectares classified Natura 2000.  You stay at the campsite Lou Pignada with young children? Take them to Labenne Zoo or Aquatic Landes for an unforgettable family day! 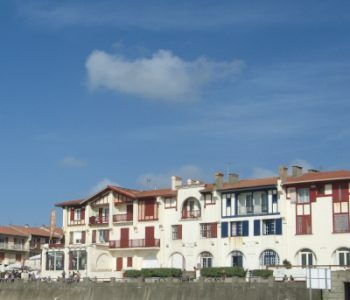 Ondres is a village of just over 3000 inhabitants, which is mainly used for its beach and its excellent climate. 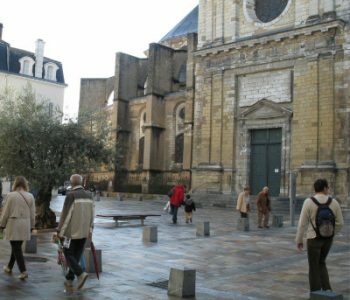 The town has some interesting monuments such as the Saint-Pierre church and the castle of La Roque, a tennis court, a mini-golf and a pediment to learn Basque pelota. The equestrian center and pony club Haras des Plages Ondres offers horse riding lessons and horseback riding on the beach or in the forest to adults and children over 5 years. Young children over 2 years old can prepare their pony before they walk in their hands. Looking for a little more thrills? Izi Rider in Labenne welcomes you for an outing in skateboard or electric scooter. This original family activity is adapted to children and is carried out safely (helmet and protections provided).